St. Joseph Medical Center, in Kansas City, MO. 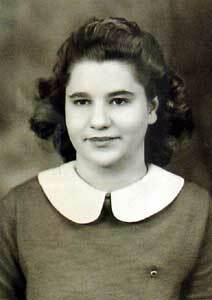 Doreen was born April 5, 1927, in Osawatomie to Charles and Daisy (Turner) Boisvert. She graduated from Osawatomie High School with the Class of 1944. She is survived by her nephew, Michael Francis Boisvert, San Diego, California. an auxiliary order of the Veterans of Foreign Wars. Through the years, she was employed by Osco Drug, Western Electric and AT&T.